The Chilla is a very popular breakfast dish primarily because it is so quick and easy to make and makes for a hearty meal. When I was looking for pancake like dishes for L, I did not have many options. The chilla was on my mind ever since I began this marathon because if there isn’t one in a marathon about pancakes / dosais, it wouldn’t do justice to the theme. Then I looked for lauki and chilla and voila! Because there is a chilla with every ingredient. Don’t trust me? Try Google! This is an instant breakfast dish and can be made in a jiffy. Just get all the ingredients together, mix and cook. You can’t ask for an easier dish, especially for a hectic weekday morning. I have never successfully made a besan chilla and so I usually fall back on the moong dal chilla. But this one turned out really soft and tasty, especially with the green chutney. So, that is a huge item ticked off the to-master checklist!! For more recipes with chickpea flour check out these mint pakoras, nankhatais, bhajiya pav and stuffed snake gourd. Lauki Chillas look awesome , I must try these ! I have never used lauki in chillas , but it would definitely add to the taste and nutritional value . My kind of dosas, that too instant version. Lauki chilla looks extremely prefect to make when we ran out dosa batter. Excellent dish to give a try without any fail. Bottle gourd adds a nice soft texture in dishes. I rarely make chilla but it is my daughter’s fav. So next time I make it I will add bottle gourd. Lauki is a popular name to start for this letter. Good one Sowmya. I feel lauki is the most neglected vegetable and one of the healthier ones. Yummy and healthy chila. Adding of lauki to the batter is a brilliant idea. Delicious. I like all these instant and yet very healthy recipes. Such a filling dish. I would have not thought of adding lauki to chilas but now I will…thanks Sowmya for sharing a healthy recipe. We all love lauki and it is such a healthy vegetable to use in our regular diet. Great idea to use lauki in the besan chilla. 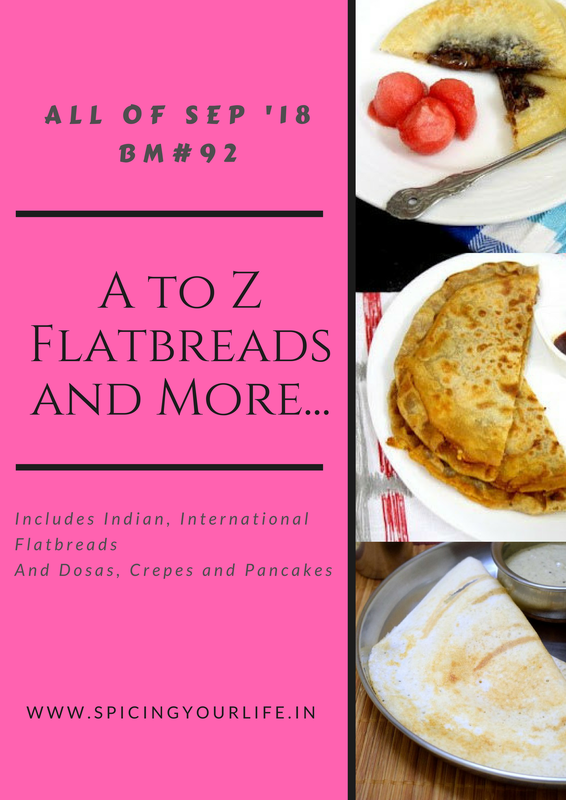 This is indeed a great combination and use of word..I didn’t get anything for L for a while and suddenly realized I could do lentil, but how many lentil dosas yaar I thought..anyway will have this for my next time..
We trust you Sowmya! There are so many variations and varieties of Chilla! Recipes like this Lauki Chilla is such a blessing on hurried weekdays when we are looking for instant breakfasts!